After successfully introducing CVQ qualifications to participants of The New Imani programme, the Government of Grenada is now introducing the much talked about Caribbean Vocational Qualifications courses, in schools. This comes as a result of a joint effort between the Grenada National Training Agency and the Caribbean Examinations Council (CXC), facilitated by the Ministry of Education and Human Resource Development. The initiative is in compliance with a mandate from Caricom, to encourage technical and vocational training and certification in the region. 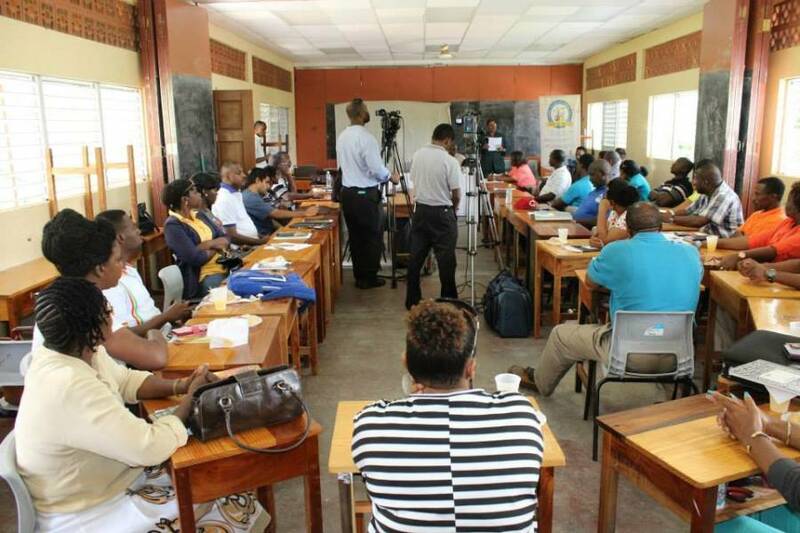 Grenada begins by piloting the program in nine secondary schools. The training workshop specifically targets technical and vocational teachers. They will learn about the CVQ qualifications framework, competency standards, how to cater for various learning styles and how to do CVQ-related assessments and classroom management. The training sessions are being conducted at the Anglican High School in St George. Caribbean Vocational Qualifications, or CVQs, are regionally accepted qualifications equating to Associate and Bachelors degrees, based on the level attained. Morain also noted that in Barbados, CVQs are used in evaluating candidates for the Island Scholar Program. CVQs can help to bridge the skill the gap and allow employers access to more functional employees emerging out of the school system. CVQ training can reduce unemployment and encourage entrepreneurship, given that based on the level of one’s CVQ, he/she is qualified to work independently. The main skill areas under focus for current implementation, are crop production, furniture making, general construction, commercial food preparation and craft.